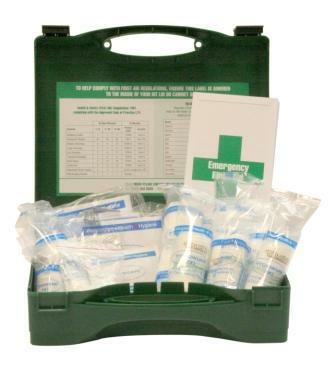 First Aid Kit - 20 Person HSE Compliant First Aid Kits - £8.99 cheapest on the web! Fully stocked 20 person first aid kit and compliant with Health and Safety (First Aid) Regulations. The first aid kit is supplied in a robust plastic case with carrying handle. Probably the Best Value First Aid Kits on the net! Special offer price for a limited period only! !